Mariachi is a type of folk music that originated in western Mexico hundreds of years ago. 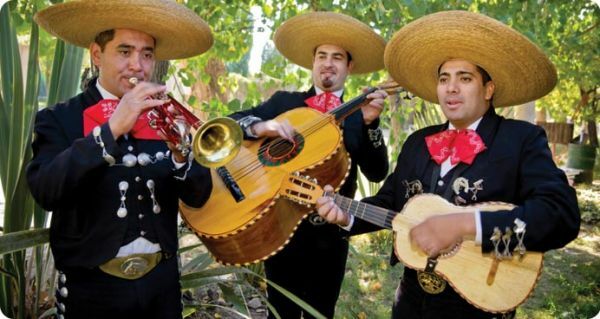 However, the form of mariachi music that we are familiar with today came about during the 19th century. Violins, trumpets, vihuelas (small guitar) and the guitarrón (a Mexican large guitar) are the main instruments used in today’s ensembles. Mariachi bands are found at many types of events including Cinco de Mayo celebrations and special events, or even at restaurants serenading patrons as they dine.